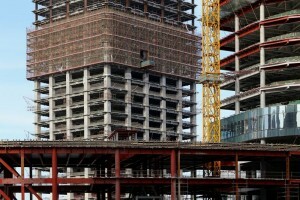 Home » Climate Change » Business legitimacy: The unexpected enemy of low carbon construction? The concept of legitimacy in business is the perception that the way in which an organisation behaves is desirable or part of the socially constructed norm within that industry (Suchman, 1995; Barreto and Baden-Fuller, 2006). One of the most important issues faced by companies in business is their ability to appear legitimate to others, through fear of contract loss and decreased profits. The construction industry is highly driven by legitimacy due to its traditional values, high risk and high cost projects which are driven by expected social norms (Abanda et al., 2013; Hampson and Tatum, 1997). The concept of business legitimacy came to mind after the publication of the latest NBS report outlining BIM uptake. The report outlined that in 2014 the number of projects using BIM had in fact dropped despite the fact that awareness had increased (NBS, 2015). The use of BIM appeared to be levelling off despite potential technological advantages to its use, indicating an industry shift. Historically, new technologies have often dropped off the radar in construction, this is particularly evident in the application of LCA and emissions analysis. So, how does this link to business legitimacy? In times of uncertainty there are unclear outcomes, this is evident in the current sense of ambiguity surrounding the implementation of low carbon strategies (Cyert and March, 1963). With no legislative procedures in place, construction companies do not tend to go beyond the regulation or standard requirements. The general trend of technological solutions to problems, or sense of inertia surrounding low carbon buildings, could in fact be in response to the current doubt surrounding the subject. 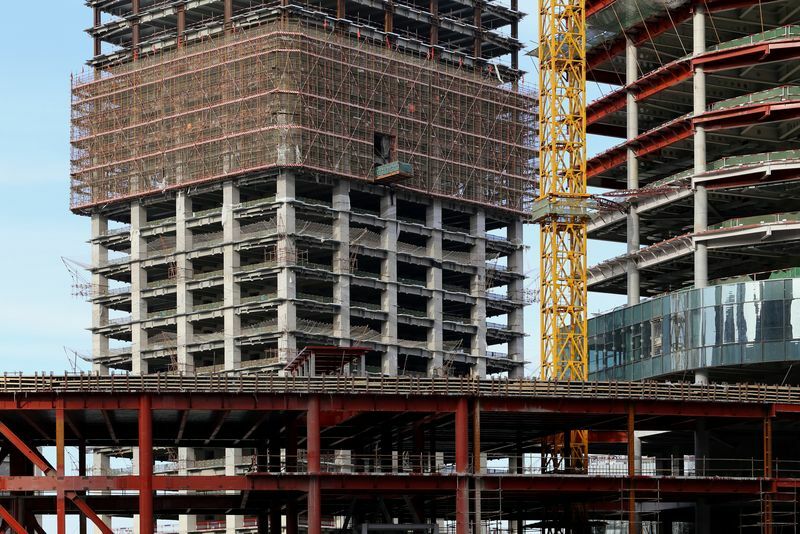 The latest NBS study is a perfect example of how the focus on technological solutions to problems in the construction industry, whether the output is design or sustainability, is not as straightforward as simply implementing a technology. The human behavioural and managerial elements of its implementation are just as important. Those involved in implementation seek to remain legitimate by following the masses. If the majority of people use BIM then others will follow, if its use drops then again others will stop using it. Businesses will often mimic other businesses within their network and those of a similar size in order to remain competitive and legitimate in the eyes of peers and potential contracts (Haunschild, 1993; Kraatz, 1998; Westphal et al., 1997; Fligstein, 1991). If other construction companies are using LCA technology then potentially others will also use similar products to remain legitimate within their field. In some cases companies have pursued technologies without any basis for success, simply to remain legitimate within their business network (Barreto and Baden-Fuller, 2006). Mimicking others in business provides a tried and tested method of appearing legitimate without having to outlay huge search costs (Sarrina li and Lee, 2010). In some respects this has been evident in the data collection process of this research where companies have suggested that they have indeed implemented BIM within their business in order to keep up with potential use but had actually failed to use it. This indicates that it was important for construction companies to appear to be thinking about BIM in order to remain legitimate players, offering the latest building design models. This was found to be reminiscent of LCA technologies and their lack of success in the construction industry. Additionally, the sense of inertia surrounding the implementation of sustainability practices in general could be driven by companies deliberately adhering to social norms. Often these companies highlight their ‘green credentials’ without ever having to provide evidence of their true implementation and use. The application of legitimacy has unearthed the question of whether construction companies remain inert when it comes to carbon calculation simply to appear legitimate and in line with other companies. For example, businesses are failing to take up BIM on a large scale, but they seem to maintain legitimacy by simply fostering an awareness of BIM. It is this concept which was seemingly evident in the NBS report and current research. Companies will often take on technology even if they do not use it simply to show the customer that they have an awareness of the problem whether that is BIM or any environmental analysis product. In this instance lowering emissions in the construction industry becomes exceptionally problematic. Companies appear to be addressing the problem by advising on technologies which they can provide. In many cases, however, as alluded to in my previous blogs, the client will not request emissions measurement and so this feeds the appearances driver. Perhaps this provides further evidence of a need to shift away from technological solutions to environmental problems by incorporating managerial and human behavioural concepts into solutions as standard practice. A shift must occur within the construction industry to ensure that it is not a legitimate practice to simply appear to be ‘green’. Abanda, F. H., Tah, J. H. M., and Cheung, F. K. T. (2013). “Mathematical modelling of embodied energy, greenhouse gases, waste, time–cost parameters of building projects: A review.” Building and Environment 59(0): 23-37. Cyert, R. M. and J. G. March (1963). “A behavioral theory of the firm.” Englewood Cliffs, NJ 2. Fligstein, N. (1991). ‘The structural transformation of American industry: an institutional account of the causes of diversification in the largest firms, 1919–1979’. In Powell, W. W. and DiMaggio. Hampson, K. and Tatum, C. B., (1997). “Technology strategy and competitive performance in bridge construction.” Journal of Construction Engineering and Management 123(2): 153-161. Haunschild, P. R. (1993). “Interorganizational imitation: The impact of interlocks on corporate acquisition activity.” Administrative Science Quarterly: 564-592. Kraatz, M. S. (1998). “Learning by association? Interorganizational networks and adaptation to environmental change.” Academy of Management Journal 41(6): 621-643. National BIM Survey (NBS) (2015) The National BIM report 2015. Sarrina Li, S.-C. and C.-Y. Lee (2010). “Market uncertainty and mimetic isomorphism in the newspaper industry: a study of Taiwan’s mainstream newspapers from 1992 to 2003.” Asian Journal of Communication 20(3): 367-384. Suchman, M. C. (1995). “Managing legitimacy: Strategic and institutional approaches.” Academy of Management Review 20(3): 571-610. Westphal, J. D., R. Gulati, et al. (1997). “Customization or conformity? An institutional and network perspective on the content and consequences of TQM adoption.” Administrative Science Quarterly: 366-394.